Marriage is an auspicious ceremony where two people are united together for lives with body and soul. In a nutshell, the event calls for a celebration a grand scale where people select up hairstyles to look good and make a fashion statement in the party. Be it the spouse, maid of honor or parents, hair styles should be impeccable and contemporary so that the participants do not look out of place. Usage of chignon introduces a polished elegance to the texture of the hair and makes the ladies appear classy during the wedding event. 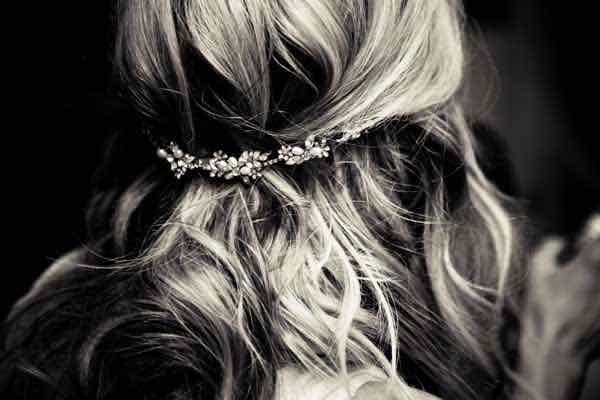 Hair is tied in a sleek fashion along with the presence of softer tiaras that can impart looks of a teen getting ready to play the host during the graduation party. Hair is sculpted to the shape of the Tiara with a similar silhouette that captures the imagination of the people. One of the most popular up hairstyles includes the addition of the exquisitely designed floral crown over the head to ensure a bohemian appearance. The style is very famous for the laid back wedding events devoid of pomp and show. In order to provide stability to the crown, the hair should be back combed to a certain degree. In addition, bobby pins are attached to the floral designs and the hair so that a joint is formed preventing the crown from falling. Maid of honor can choose unique up hairstyles consisting of a braided bun coiled with numerous extensions to provide a wonderful appearance to the personality. The entire look seems to undergo a radical change with the introduction of the sleek ponytail and application of the KENDI oil to the hair. Individual seems to appear stylish, polished and exclusive during the wedding. While dressing up for wedding, try the Loose and textured top knot hairstyle imparting a casual appearance to the personality. Apart from making the person look young, the side swept bangs deliver amazing balance to the clips. If the top knot looks messy, use special hair spray and a paddle brush to transform the appearance of the head. Look ravishing by adopting the low chignon style during the wedding ceremony as it changes the texture of the free flowing hair. According to the experts, nourishing scalp is an important step to getting the most preferred hairstyle for the event so that you look classy and unique among the arriving guests.